Cold sore stinging? Crush a 250 mg. vitamin C tablet and apply it to the sore. The ascorbic acid will kill the bacteria in the sore. It will promote faster healing and dry up the blisters. The herb cilantro binds to heavy metals such as cadmium, lead and aluminum, making it easier to flush them out of the body. 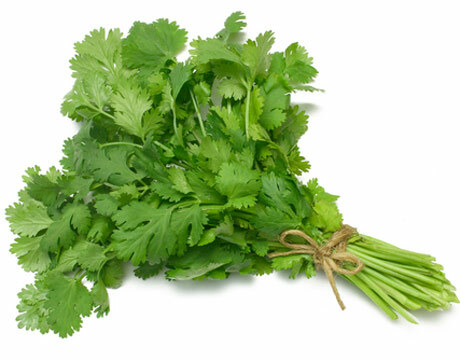 Make a healthy infusion of 1/4 cup finely chopped, fresh cilantro and 1 cup of boiling water. Steep for 3 minutes, strain out the herb and sip while hot. Add chopped, fresh cilantro to salads or in vegetable smoothies. Just make sure it’s fresh cilantro. Bee sting? Add 5 drops of peppermint essential oil to a cup of cold water. Add this to a spray bottle, and treat the bee sting. No essential oil? Crush a handful of fresh mint and place it on the sting. Sunburn? Add 3 chamomile tea bags to 2 cups of hot water. Let it steep for 30 minutes. Soak a wash cloth in the tea, wring it out slightly, and apply to the burned skin for 10 minutes. Repeat this application every hour until the sunburn lessens. The aloe gel contained in its fleshy leaves is antibacterial to both staphylococcus aureus and several species of streptococcus. Make sure the wound or minor burn has been flushed with clean water before applying the fresh aloe gel. The gel acts as a Band-Aid and seals the wound. It’s important not to trap dirt or other debris in the wound to prevent infection. Parsley is very beneficial in healing acne, eczema or mild forms of psoriasis. To make a basic cleansing steam, add 1 heaping tablespoon of fresh parsley to a glass bowl. Carefully pour in 4 cups of boiling water. Place a towel over your head, lean over the bowl and allow the steam to open and cleanse your pores. Upset stomach? Place 1/4 teaspoon of ground cinnamon in a large coffee mug. Add one cup of boiling water, stir and sip while hot. The cinnamon will help control nausea. For minor nose bleeds- Dip a cotton bud [ swab ] in witch hazel. Apply just inside the nostrils, press gently and hold for 2 minutes. Ingrown toe nail- Soak your feet in warm salt water to which ten drops of tea tree oil has been added. The warm water softens the swollen skin and nail. The tea tree is a natural antiseptic and will help prevent the growth of bacteria. Gently pull back the skin and round off the nail, so that it will grow out straight. Do not dig out the ingrown part. Allow it to grow out naturally. Athlete’s foot fungus- If it’s minor, rosemary and cinnamon will bring it under control. Soak both of your feet in a tub of very warm water. Add several sprigs of fresh or dried rosemary and a cinnamon stick, or 1/2 teaspoon ground cinnamon. For extra fungus fighting power, add a tablespoon of Epsom salts. You can make several of these herbal/salt preps and keep them in small muslin bags. Just toss one in the tub, and soak until the water has cooled. Wash your feet in shampoo, and not soap. Soap is drying and often cause small cracks in the skin. A shampoo that has the built in conditioner is best for dry skin on your feet.